Shown here is a 36×40 custom garage with standard siding, three bays, horizontal roof and three roll up doors. 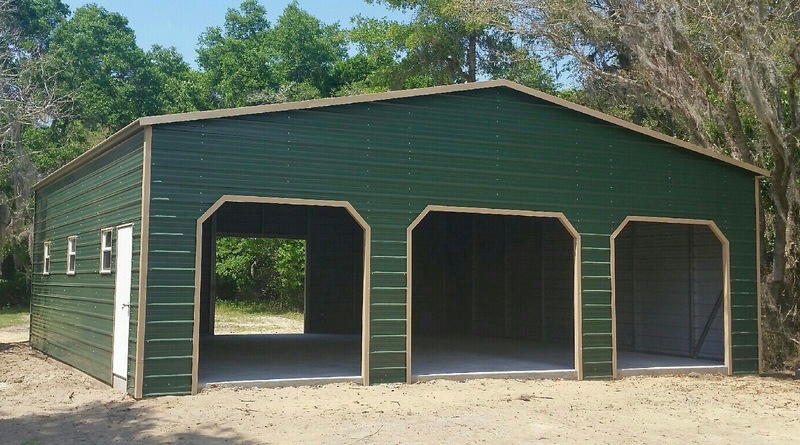 Our steel buildings are custom built to meet your specifications. We would be happy to provide you with a quote for your building. Fill out the form above and we will call you to go over the options that will best meet your needs. 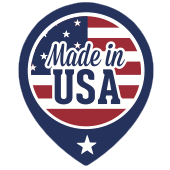 Proudly Delivering Steel Buildings and Carports to: Alachua, Apopka, Arcadia, Avon Park, Belleview, Bradenton, Bushnell, Chiefland Clermont, Cocoa, Crystal River, Daytona, Dunnellon, Eustis, Fort Myers, Fort Pierce, Fruitland Park, Gainesville, Homosassa, Inverness, Jacksonville, Kissimmee, Lake City, Lake Wales, Lakeland, Lecanto, Leesburg, Live Oak, Longwood, Melbourne, Middleburg, Naples, Newberry, Ocala, Okeechobee, Orlando, Sanford, Sarasota, St. Augustine, St Cloud, St Petersburg, Tallahassee, Tampa, Titusville, Umatilla, Vero Beach, West Palm Beach, Wildwood, Williston, and more! This Site Is Best Viewed Using Safari, Chrome, and Firefox.